I love it when a cracking editorial brief comes in, especially from the likes of New Statesman and especially when the likes of Andrew Marr have written the article. 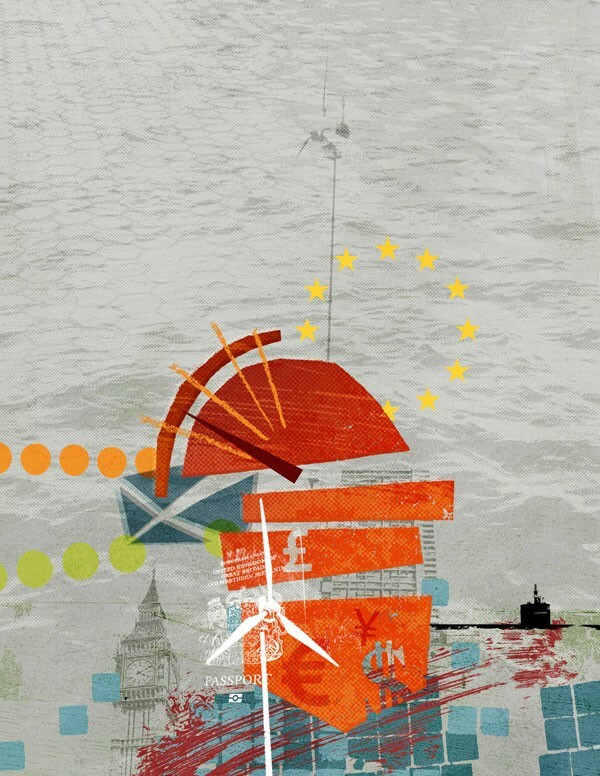 I also love a good swift turnaround – 24 hours from initial email to signing off artwork on this one, phew! 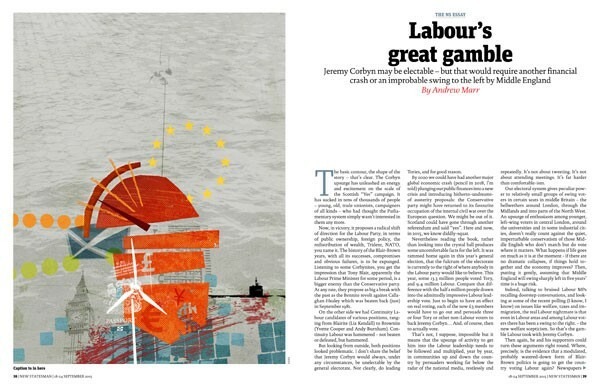 The illustration picks out various elements from the text, but largely focusses on the intro: “Jeremy Corbyn may be electable – but that would require another financial crash or an improbable swing to the left by middle England”. A very interesting article, and great fun to illustrate something so topical.